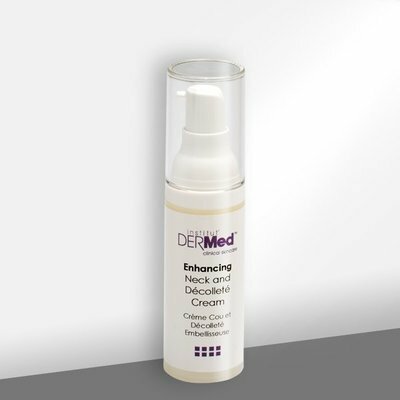 "The Enhancing Neck and Decollete Cream is working wonders. It improved skin appearance starting with the very first use. Now it became a staple in my daily skin care routine" Irina M.
Rejuvenate your neck and decollete with the luxurious Institut' DERMed Enhancing Neck and Decollete Cream. Formulated with L-Lactic Acid and Rose Hip Oil to hydrate and firm the skin in this fragile area. NO: parabens, mineral oil, sodium lauryl sulfates, phthalates, artificial dyes or synthetic fragrances. Products not tested on animals. Smooth onto neck and decollete with finger tips. For best results use twice daily in the morning and the evening. L-Lactic Acid - Derived from sour milk, yogurt or beer used for it's potent acidic properties to exfoliate and hydrate the skin without dehydration. Rose Hip Oil - Rich in essential alpha-linoleic acid and beta-linoleic acid for smoother, younger looking skin.